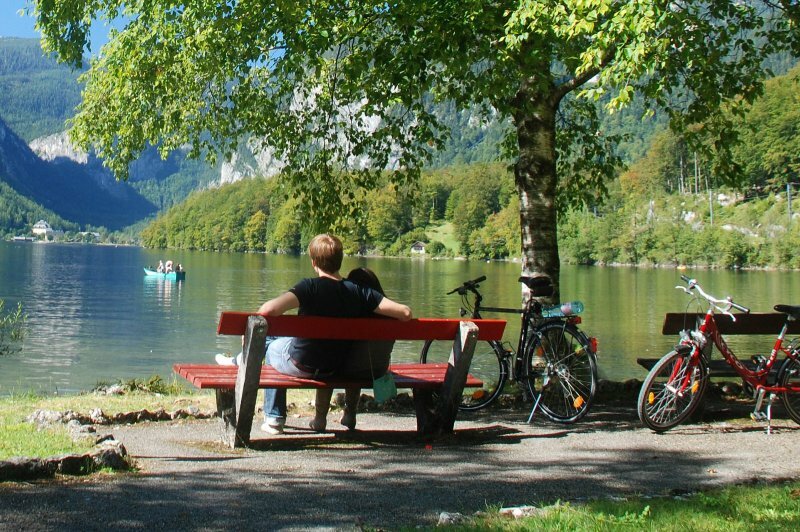 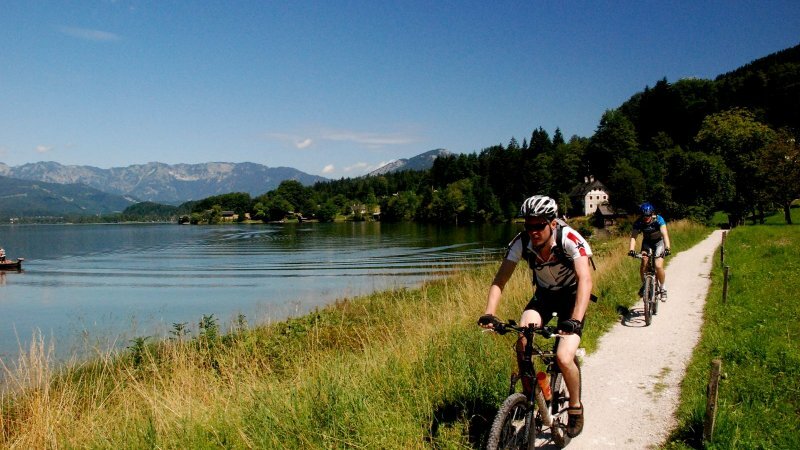 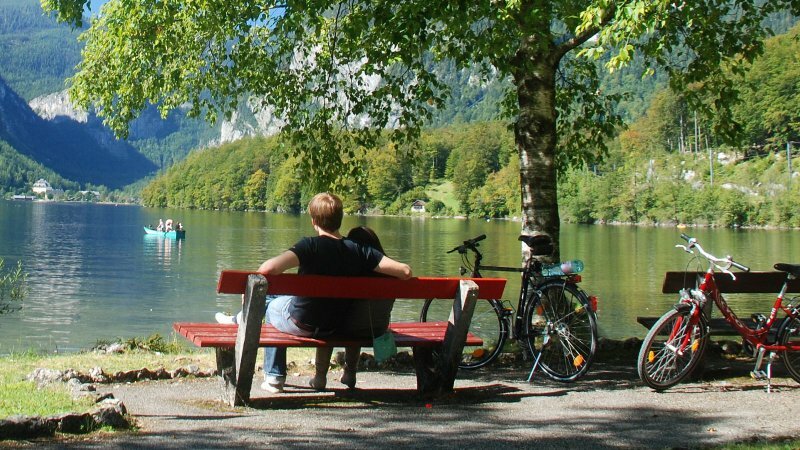 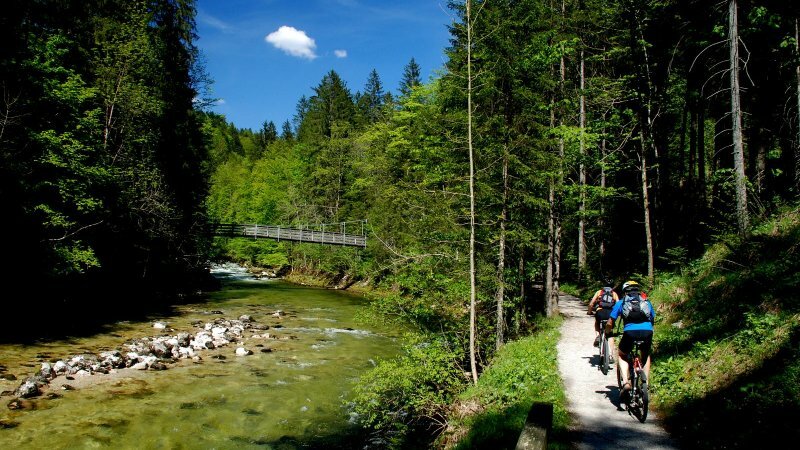 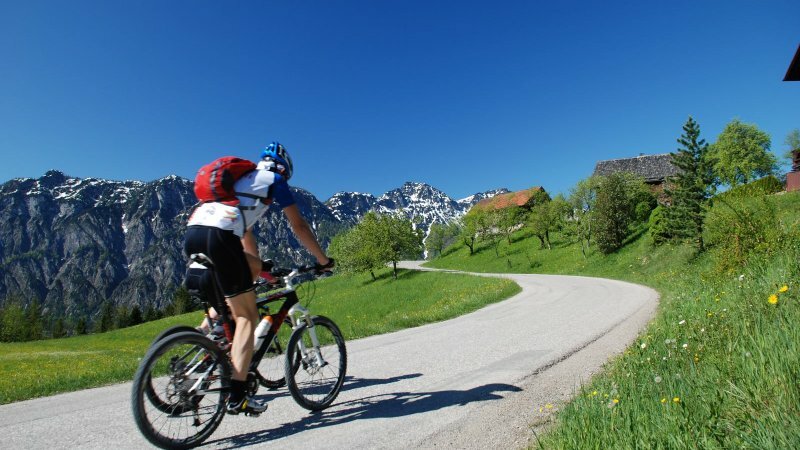 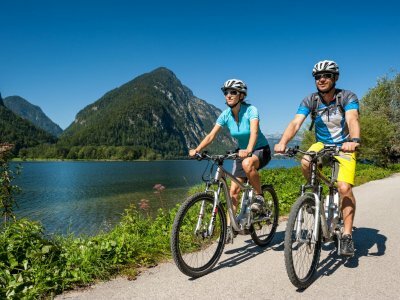 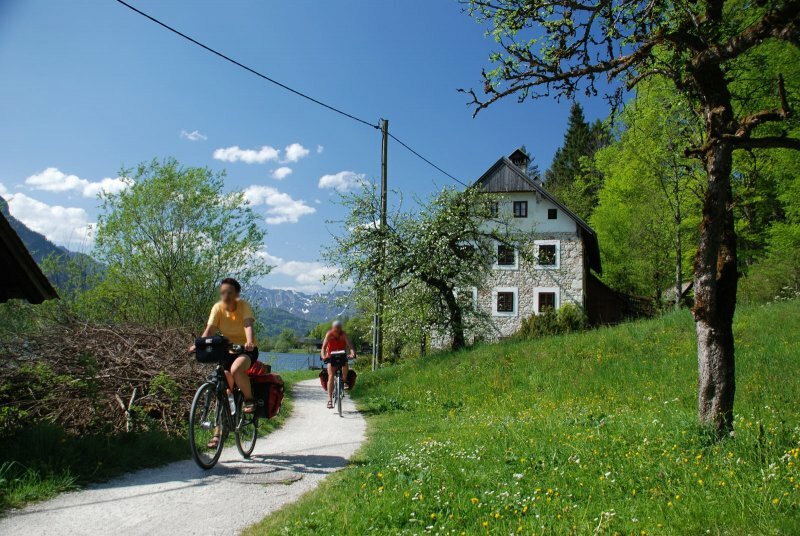 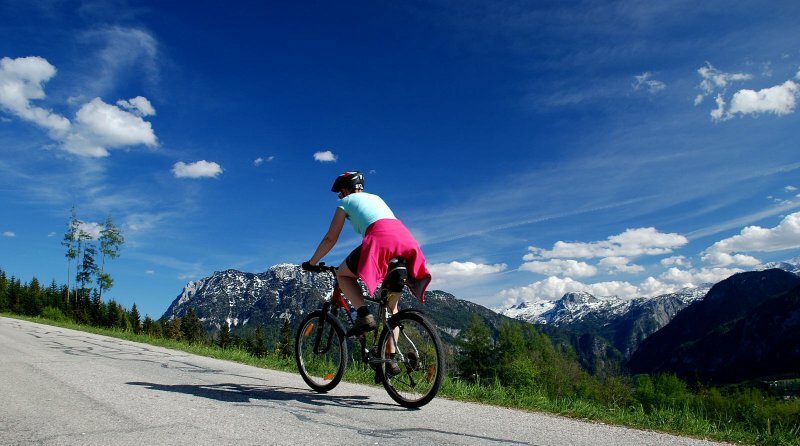 With a total length of 345 km, the Salzkammergut cycle path is the ideal way to cycle through all three states of the Salzkammergut. 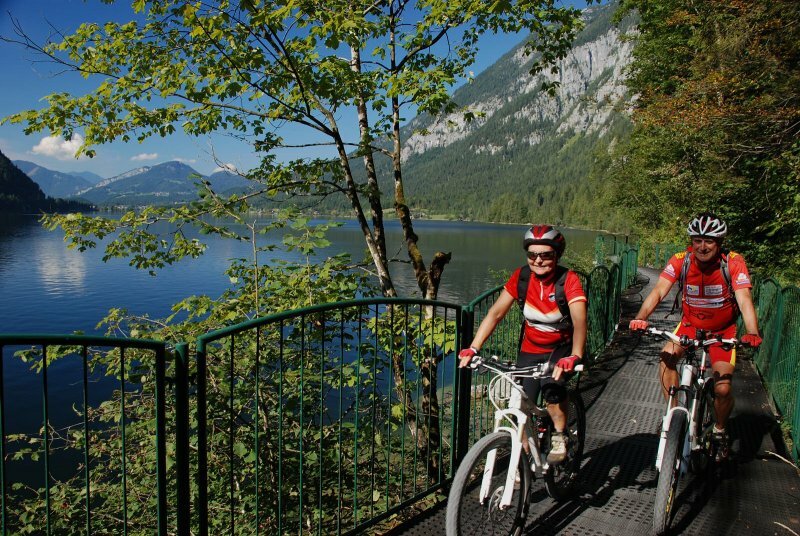 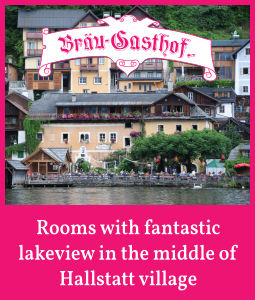 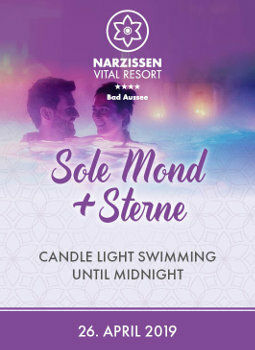 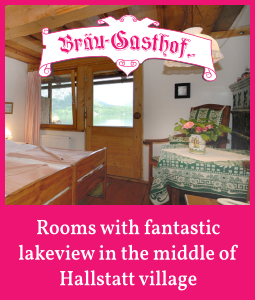 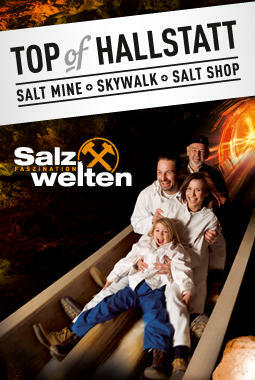 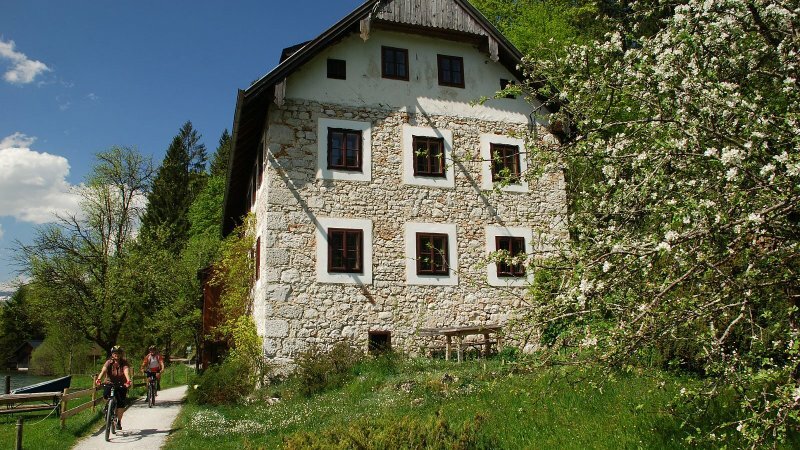 It combines the famous Salzkammergut lakes and leads you through picturesque villages and towns. 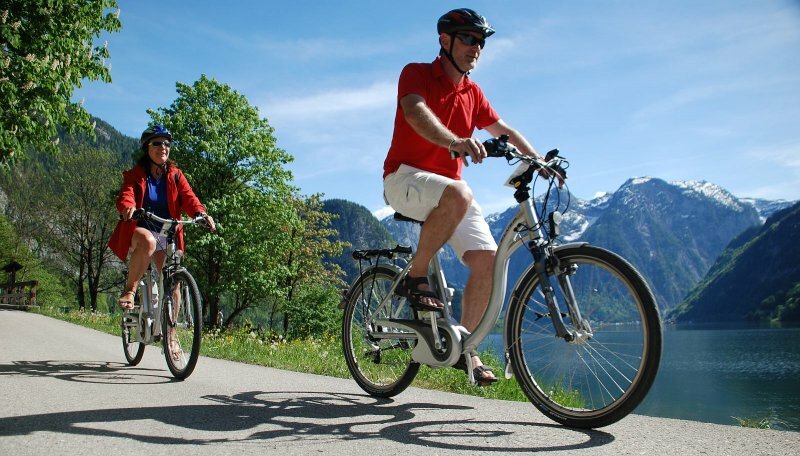 We are a movelo rental station. 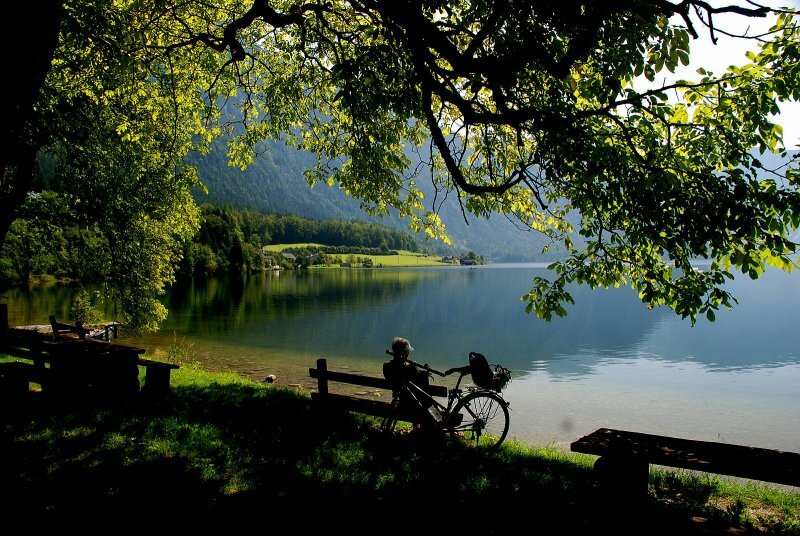 This makes cycling a pleasure. 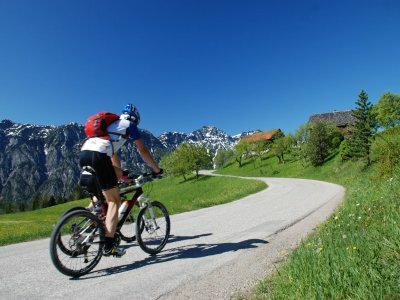 You want to bike at the most beautiful places? 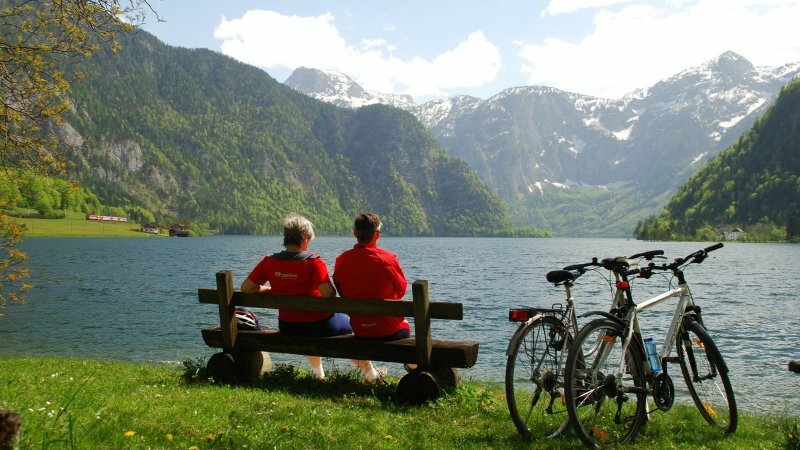 Well, then you have no other alternative than the Salzkammergut – no matter in what shape you are, how fast you want to go, how old you are! 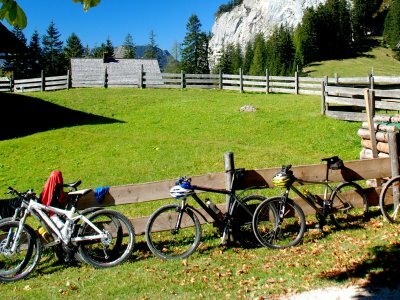 The tracks around the fascinating Dachstein promise no stress, breathless fun, healthy exhaustion and a mental incitation. 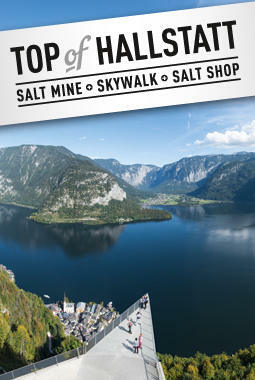 Stunning mountains, crystal-clear lakes and gorgeous sceneries await you in region Dachstein-Salzkammergut. 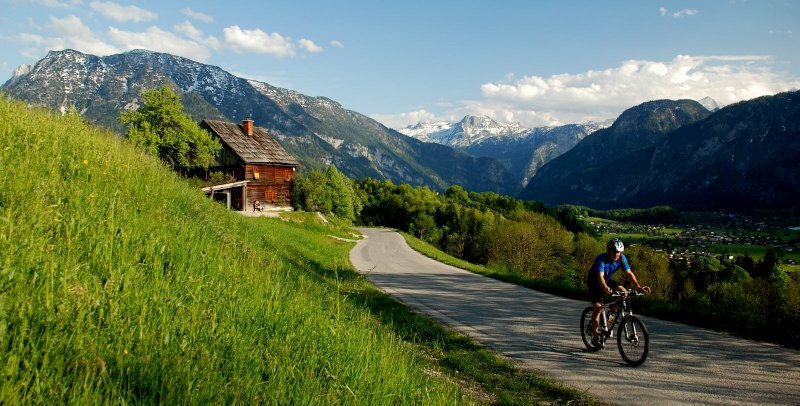 Steep climbs are rewarded with spectacular views and cozy mountain huts which cater to the hungry and thirsty rider. 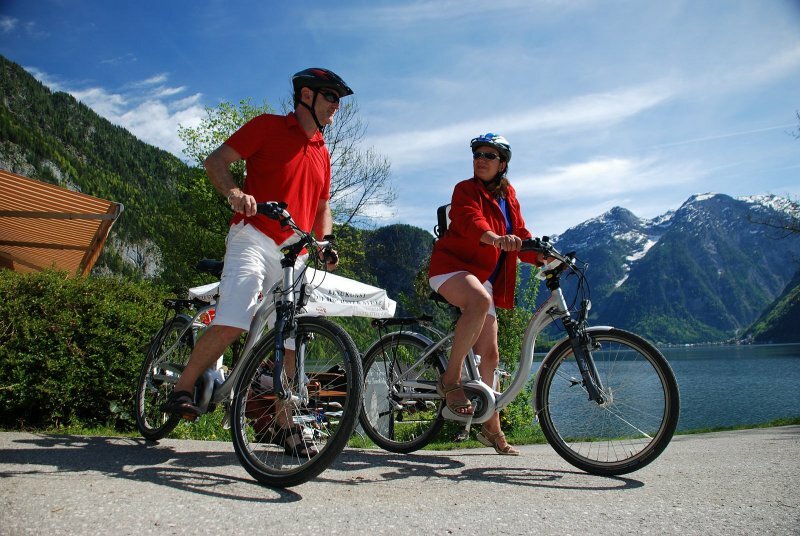 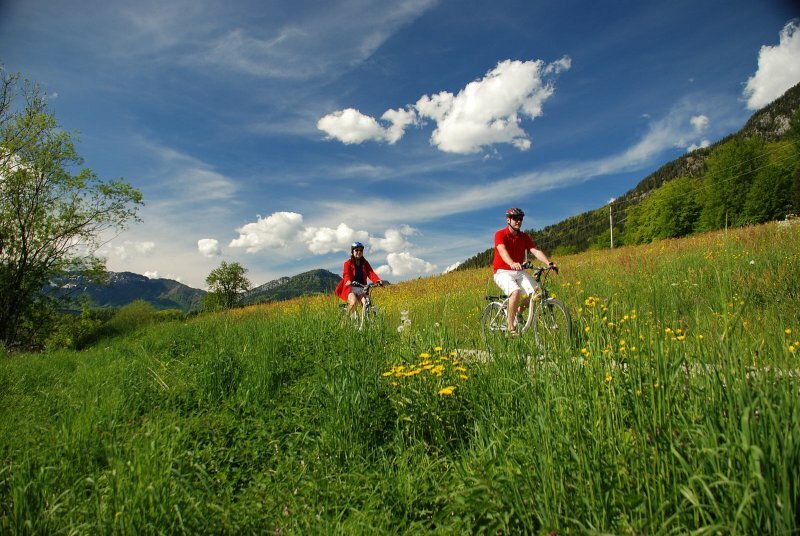 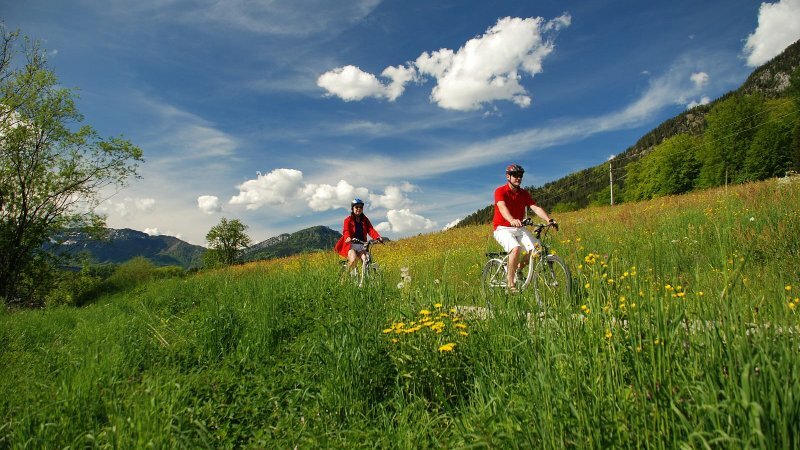 E-Biking | Dachstein Salzkammergut: Discover the region by E-Bike or Pedelec. 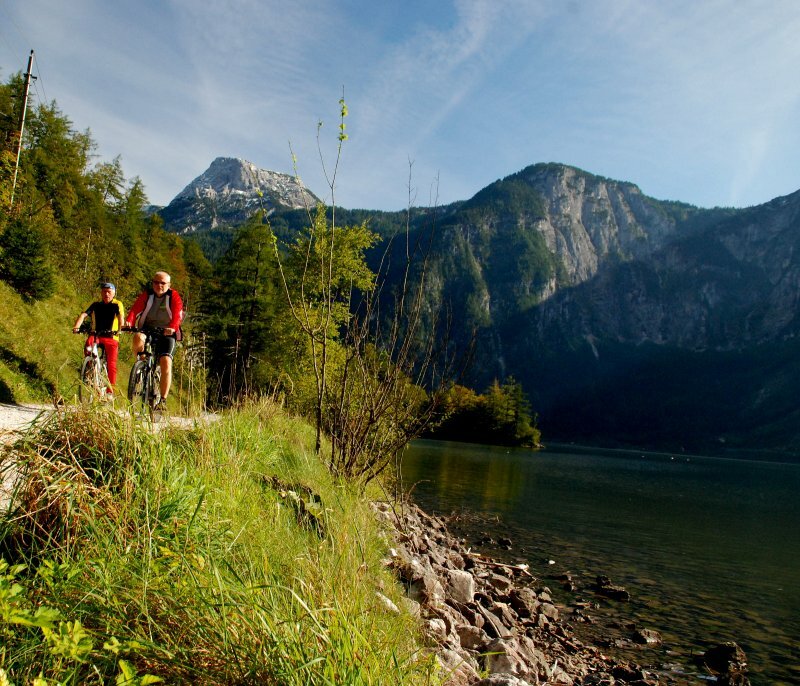 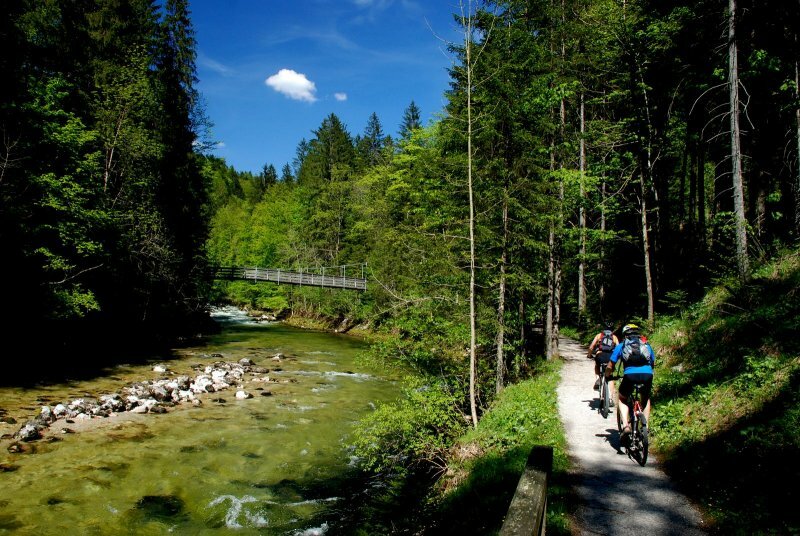 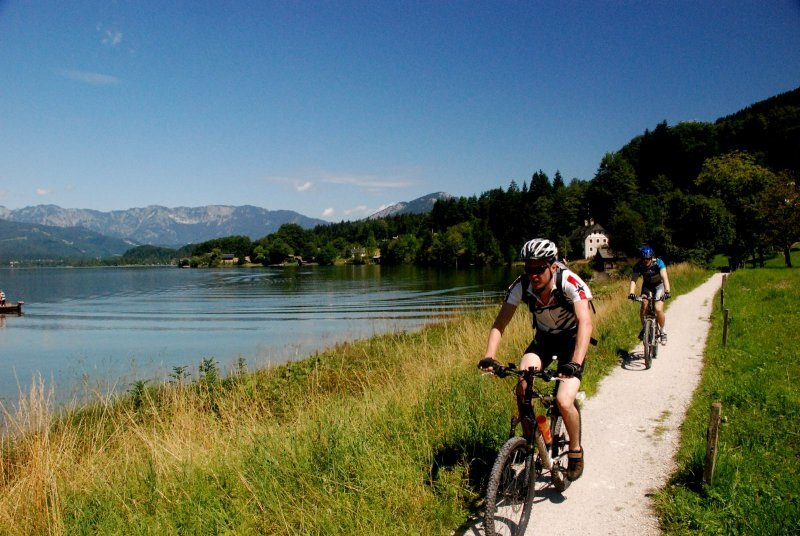 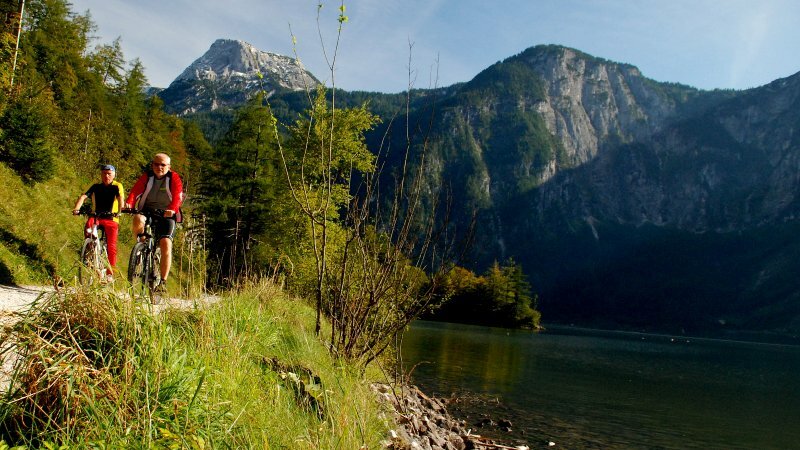 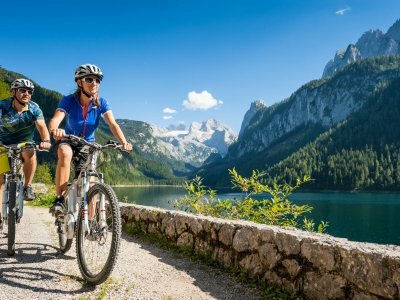 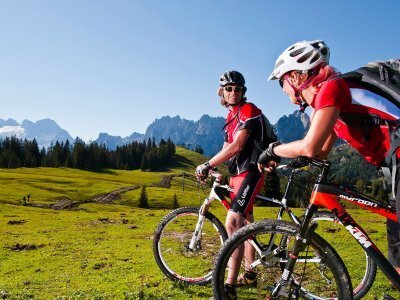 Follow the well-established cycle and mountain bike trails throughout the Dachstein Salzkammergut region. 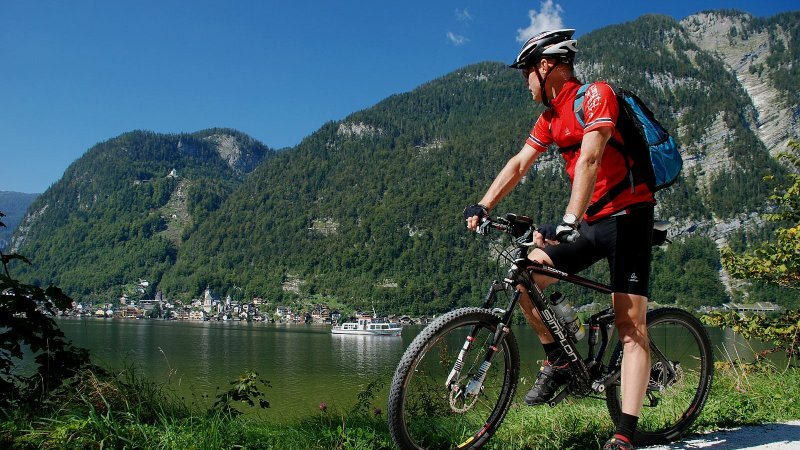 MTB Competence Centre in Bad Goisern | Within the Salzkammergut, there are over 300 km of forest roads approved as routes for mountain biking. 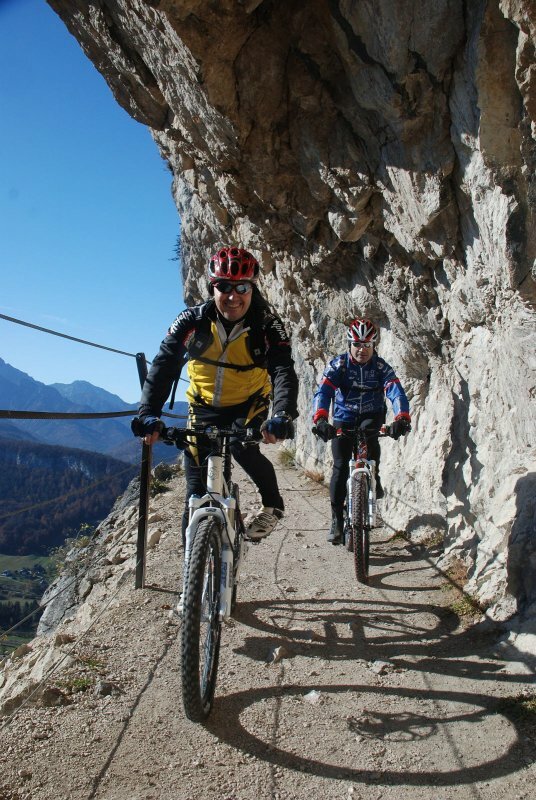 Simple routes for beginners and challenging tracks for professionals leave nothing to be desired. 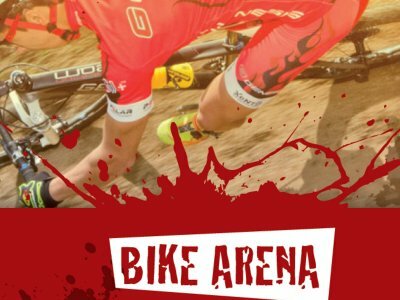 Obertraun | Bike Arena: For amateurs and professionals - a cross country track of international calibre. 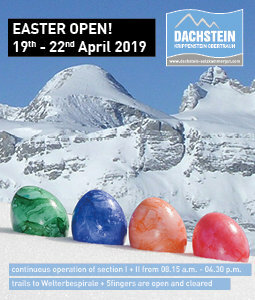 Open all year. 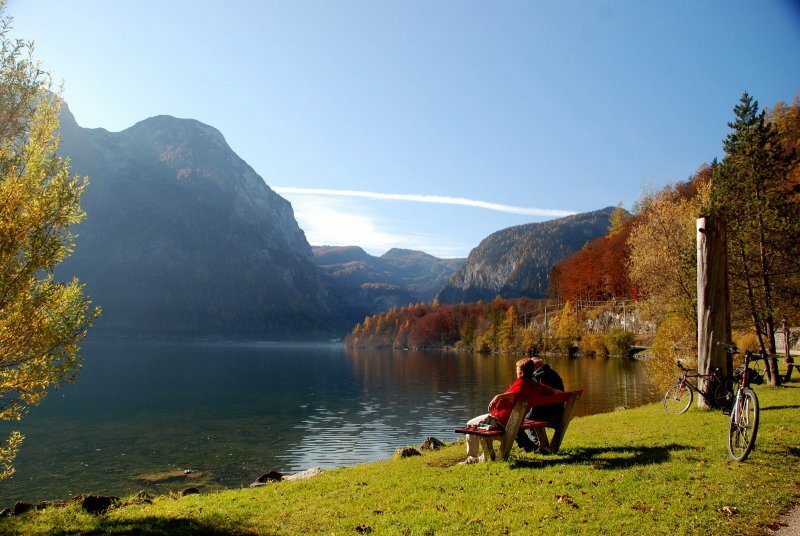 Obertraum | Who wants to spend the next holidays in UNESCO World heritage region of Hallstatt Dacstein Salzkammergut, has a long time arrival ahead. 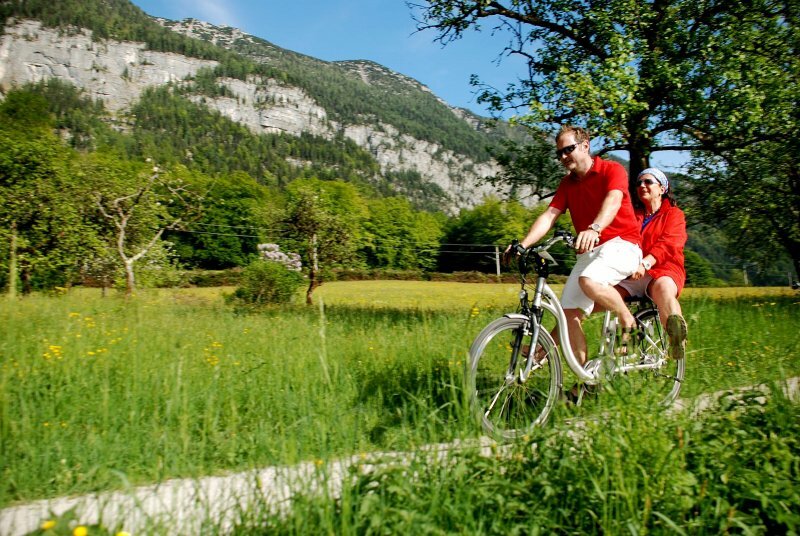 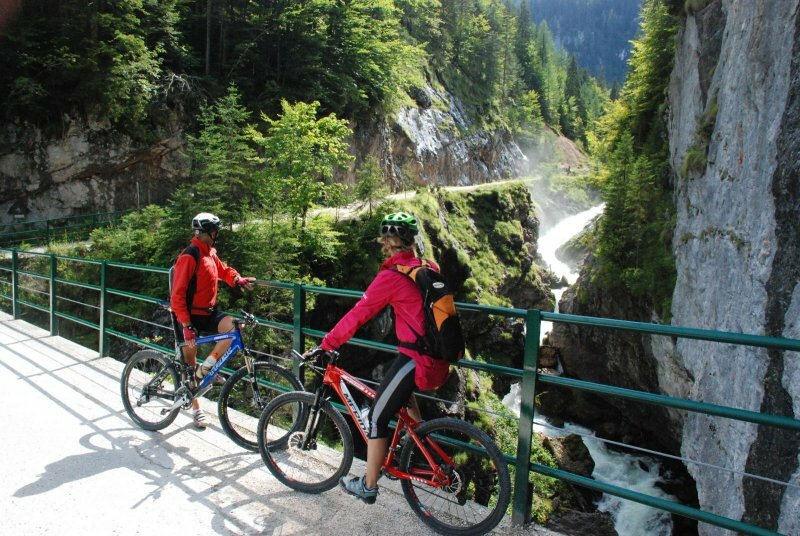 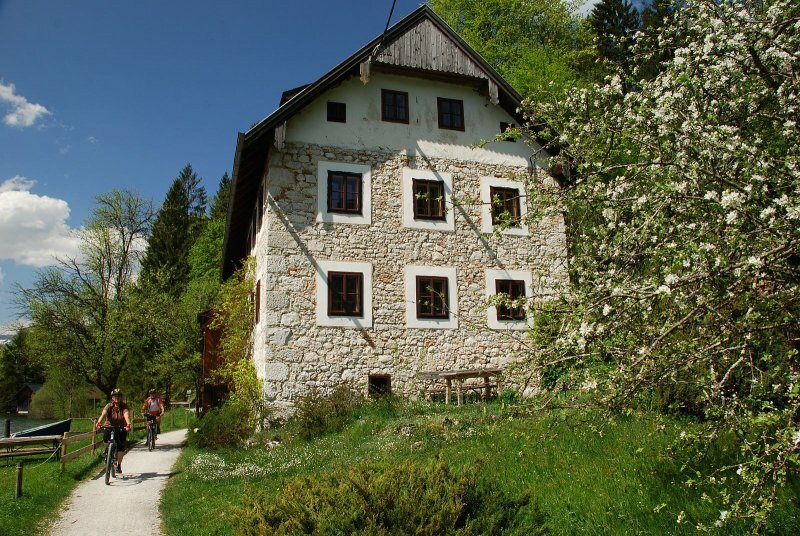 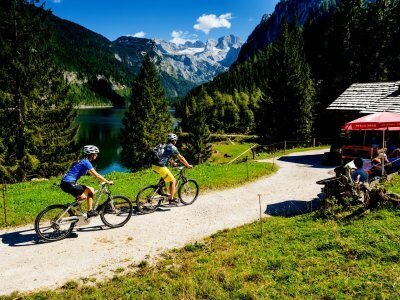 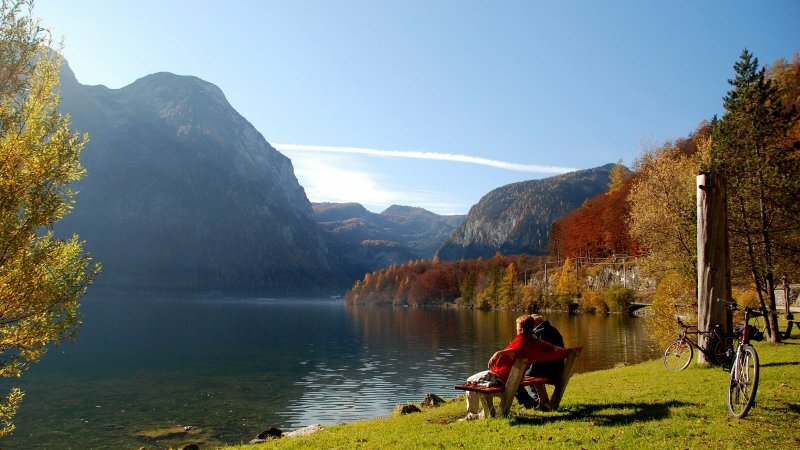 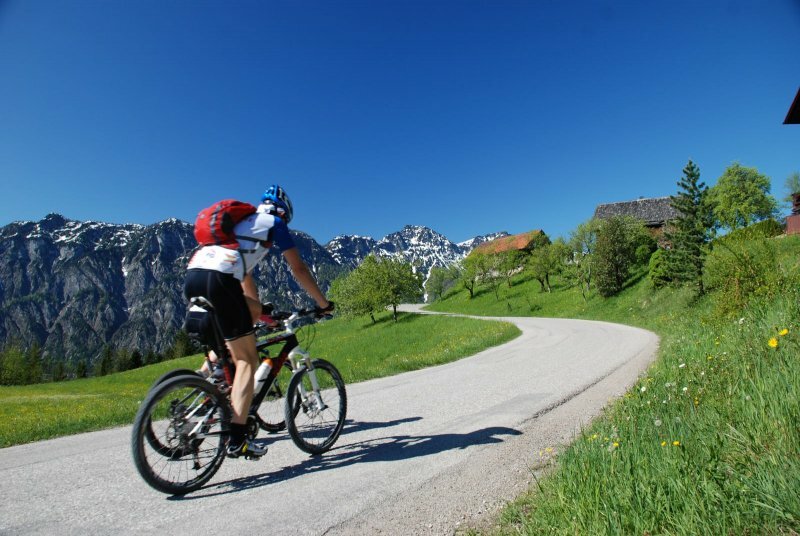 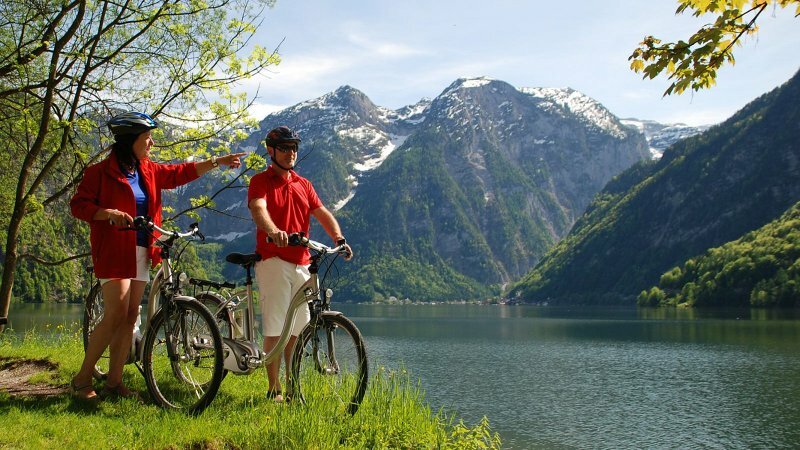 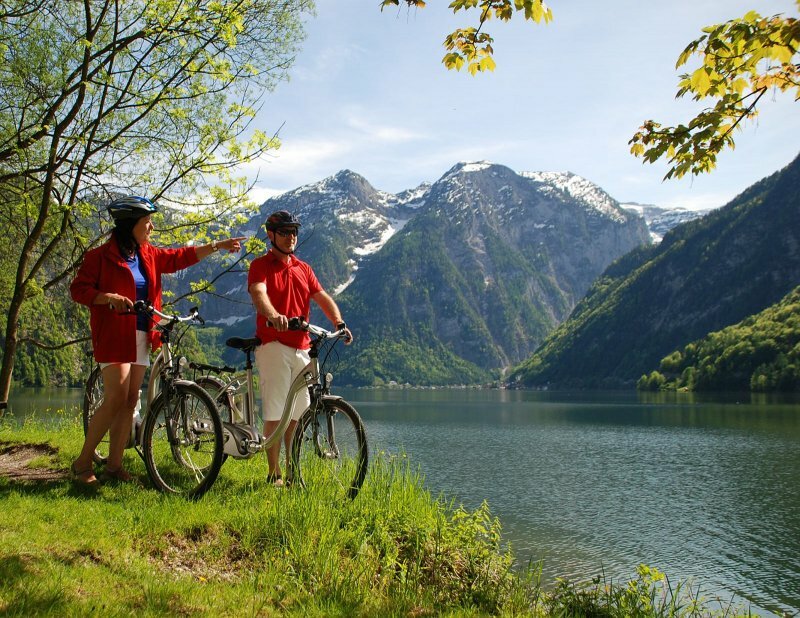 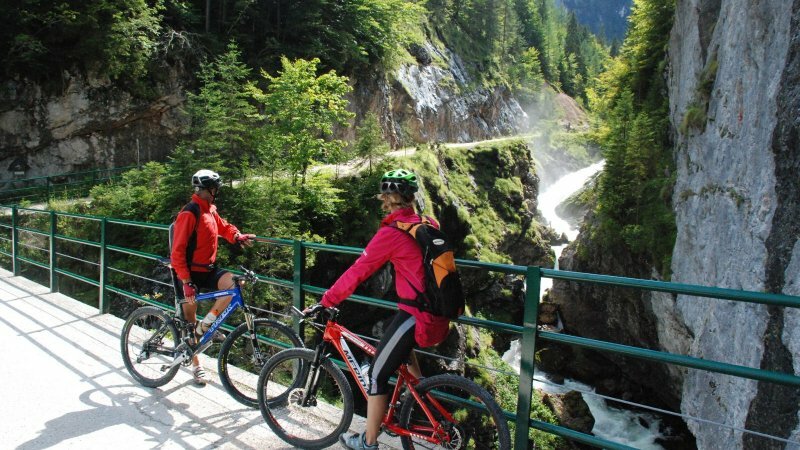 Guided bike tour through the UNESCO World Heritage region of Hallstatt Dachstein Salzkammergut. 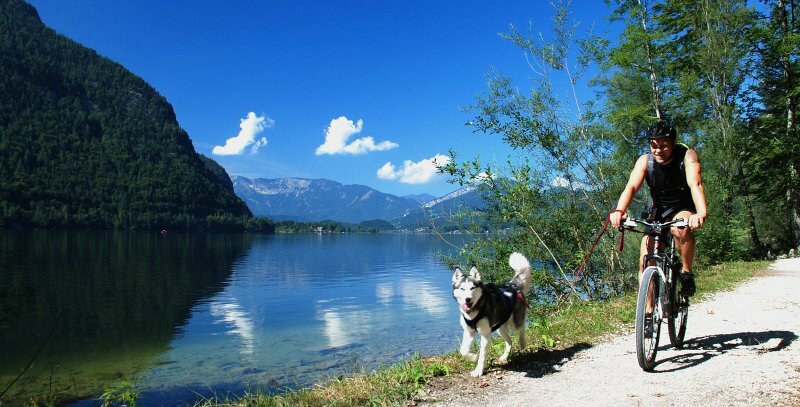 A master who knows all 76 lakes of the Salzkammergut! 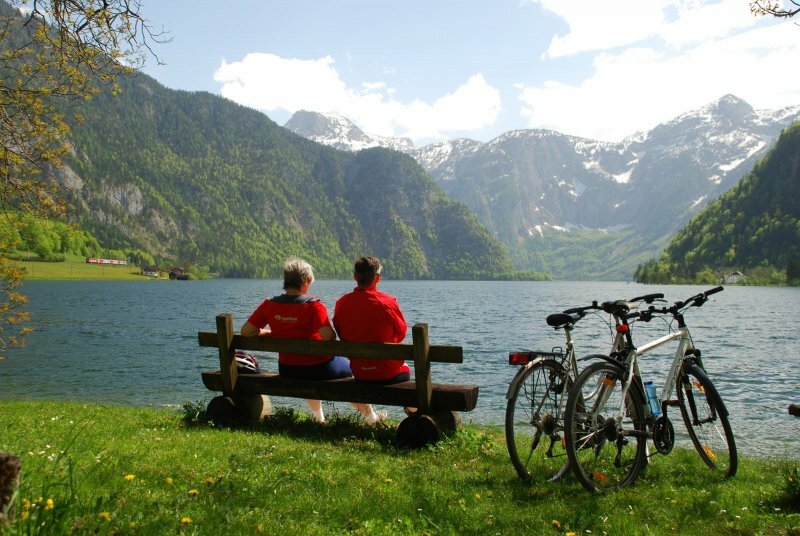 Granted also our guides do not know all but the most beautiful lakes to discover! 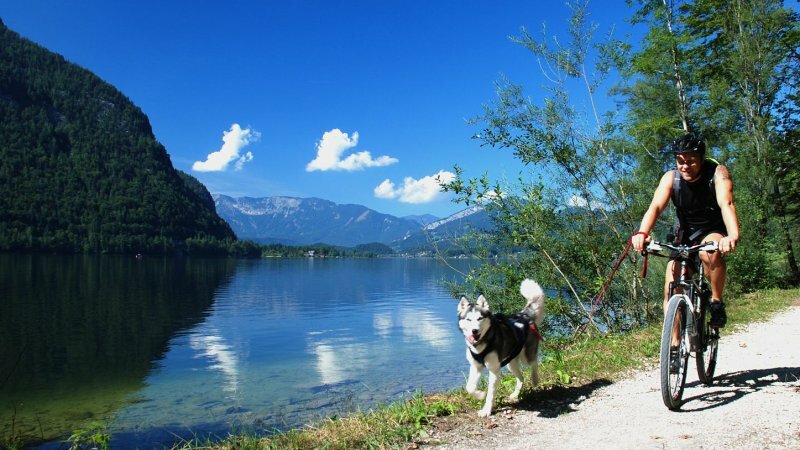 Do not forget swimwear and towel! 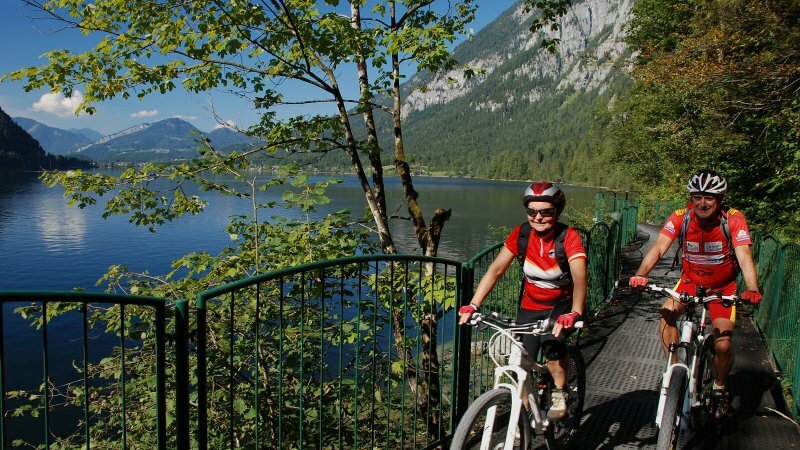 Our guides will take you on a relaxed Salzkammergut tour followed by a descent over hill and dale on selected soft trails. 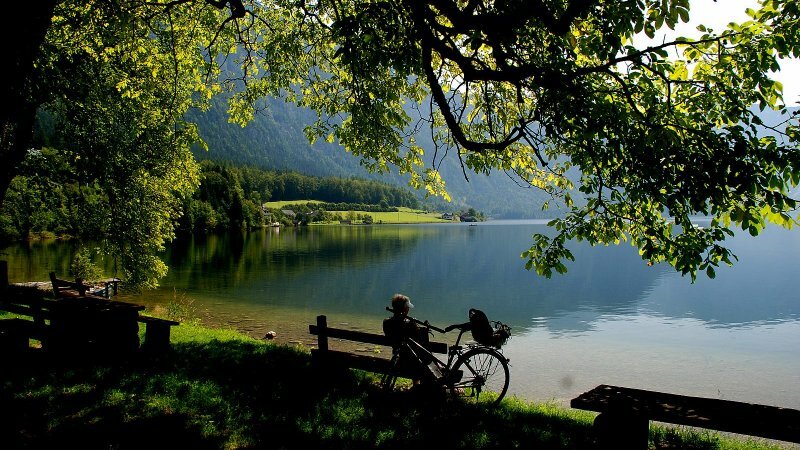 The biker's heart is laughing.